﻿Maximum frame flexibility with wind-related handling - only premium FARE models feature this technology. 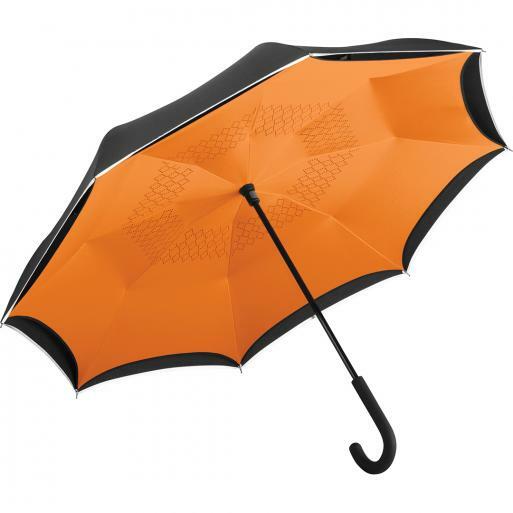 The windproof system means that the umbrella can withstand strong gusts of wind. It turns inside out in extremely windy conditions but does not break. The ribs do not break and bend. ﻿Fibertec is a FARE quality sign which stands for high-quality fibreglass. This is extremely flexible and therefore perfect for a working windproof system. A Fibertec double rail, which is particularly flexible and still sturdy, has been developed specially for mini umbrellas and is features in umbrella models with Fibertec design.